A summer vacation is for rest and you deserve a break. Following these 10 simple steps will ensure that you can truly relax. Knowing that your Florida home is in order and will be in the same condition that you left it in upon your return is important. It is a good rule of thumb to make a checklist of what needs to be packed and done around the home before you leave. 1. Put the water heater in vacation mode. 2. Turn off water valves to the dishwasher, washing machine, and all sinks. 3. Adjust your thermostat so the air conditioner won’t waste energy by running in an empty house. 4. Unplug small appliances and electronic devices. 5. Put at least one light on a timer. 6. Run your garbage disposal with a half-cup of vinegar and some water. 7. Clean out the fridge. 9. Stop mail delivery to your home or have a friend/neighbor stop by to pick it up for you. Congrats! You have finished your home prep list for vacation! You are in the home stretch now. Here is one more thing to consider. 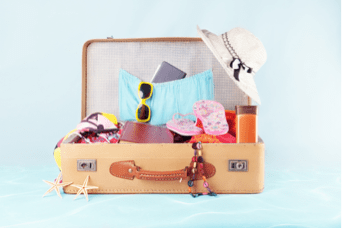 At this point you do not want to think about coming home from your vacation, you have not even left yet, but it is a good idea to think ahead and make a return checklist to help you ease back into the real world. Items on the return checklist would include turning the water heater off vacation mode, resetting your thermostat, plugging back in appliances, making a reminder to pay a bill that is due upon your return, etc. For more household tips please visit our blogs or like us on Facebook.